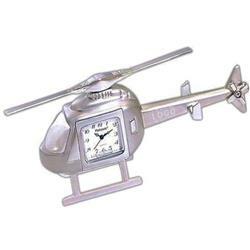 Our custom Helicpoter desk clock is the perfect gift to give any aviation entuhsiast. 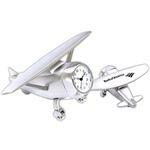 Made with quality zinc alloy, it has a nice weight to it and will look great on any desk top. 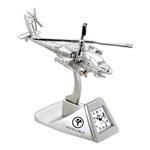 Personalize it with your name or logo on the side. 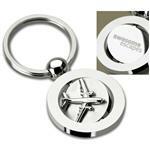 A great aviation promotional item. Call 888-332-ADCO for addtional ideas! Typical Imprint Area(s): 1/4" x 1"